A review of Bankers Health Insurance Company finds that the company’s name is actually Bankers Insurance Company, and it’s a subsidiary of Bankers Insurance Group (Bankers). Bankers sells both personal and business insurance, including homeowners, renters, and flood insurance. However, Bankers does not sell health insurance. Don’t worry! You can still find a provider and compare health insurance quotes here by typing in your zip code. Bankers Insurance Group is a subsidiary of Bankers Financial Corporation. Bankers was founded in 1976, and has since grown into the parent company of five insurance companies, including Bankers Insurance Company. Bankers Insurance Company is a property and casualty insurance provider. 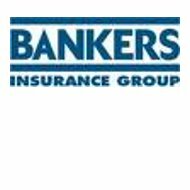 Bankers Insurance Group is based in St. Petersburg, Florida, and operates in all 50 states and the District of Columbia. The company has years of expertise handling catastrophes and on its website states its pride that it “has weathered an impressive 25+ catastrophes.” It markets this experience to catastrophe-prone areas such as the coastal states of Florida, Louisiana, and South Carolina. Earthquake and flood policies are offered in addition to a basic homeowner or business owner policy. If you’re interested in a job with Bankers Insurance, you can mail your resume to the address listed above, fax it to 727-821-5716, or email it to the HR address listed above. The company has openings in its Customer Service, Hospitality/Resort, and Warranty divisions. These include service agents, claims agents, housekeeper attendants, and rollover representatives. All current openings are in Florida. Bankers partners with independent agents across the country. Independent agents offer a flexible portfolio of insurance products from which to choose because they partner with different insurance companies. When you work with an independent agent for your insurance needs, they can help you tailor your specific coverage using insurance from one company or from many different companies for each product. To become an agent with Bankers Insurance, send an inquiry to [email protected] or call 800-627-0000 x4900. Insurance rating company A.M. Best has given Bankers Insurance Group a “B+” rating (Good) for its financial strength and a “bbb-” issuer credit rating. The “bbb-” rating denotes a slightly better than Fair rating. These ratings were both assigned in June 2010, so the company’s stability and outlook might be different today. A search of customer reviews for Bankers Insurance turned up very negative reviews for another company called Bankers Life and Casualty, as well as a 26 year-old court case involving a policyholder and Bankers Insurance over an auto insurance claim. The fact that no other recent negative reviews of the company were found bodes well for its current customer satisfaction and customer service. As always though, talk to an agent to find if Bankers Insurance is a good fit for your specific insurance needs. Get health insurance quotes from the comfort of your living room by typing your zip code into the box at the top or bottom of this page.